Creatine helps to regenerate a molecule called Adenosine Triphosphate (ATP), your body’s primary source of energy. When Creatine reserves in your muscles are empty, the production of ATP comes to a stop, because of this your energy and muscle power dramatically decreases. Supplementing with creatine increases the available fuel to power ATP, which increases your overall performance, this performance boost helps you increase muscle strength, size and power, making Creatine the perfect supplement for weightlifting, bodybuilding and sports that require short bursts of energy such as sprinting, football or cycling. Consuming Creatine Monohydrate as a powder mixed with water typically requires around four to six grams per serving. 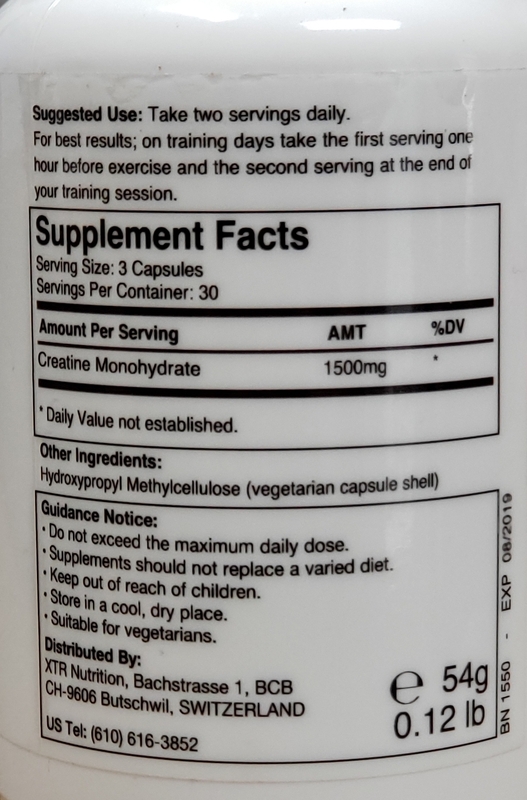 The large serving size is required because stomach acid converts the majority of consumed creatine into a useless byproduct; this byproduct is also the primary cause of water retention and bloat, two commonly noted side effects when using standard creatine monohydrate. These adverse effects are easily avoided by protecting the Creatine Monohydrate as it passes through your stomach acid into the intestine, and only then, depositing the creatine at just the right pH level for your body to fully absorb the Creatine un-changed. With World A.B.S pH-Creatine™ our mission is to protect the creatine from the stomach acid using the most effective method possible. Our unique DRS (Delayed Release System) capsules are designed specifically for acid sensitive ingredients and proved to be the perfect solution to Creatine's acid sensitivity.